Say so long to the powdered stuff! 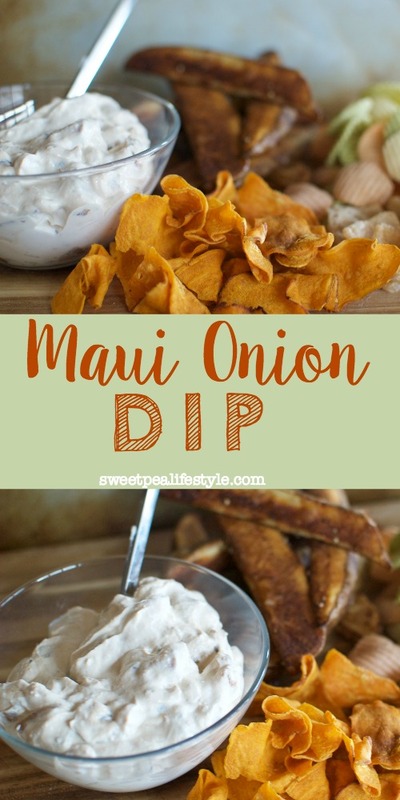 Maui Onion Dip is here to stay! Sweet caramelized onions and tangy sour cream create the perfect dip for any occasion. 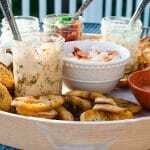 This is one of those dips you will make over and over and over again! 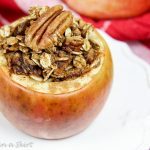 People will continuously ask for the recipe, they’ll beg you to bring it to parties, and you’ll want to have it on hand at all times. 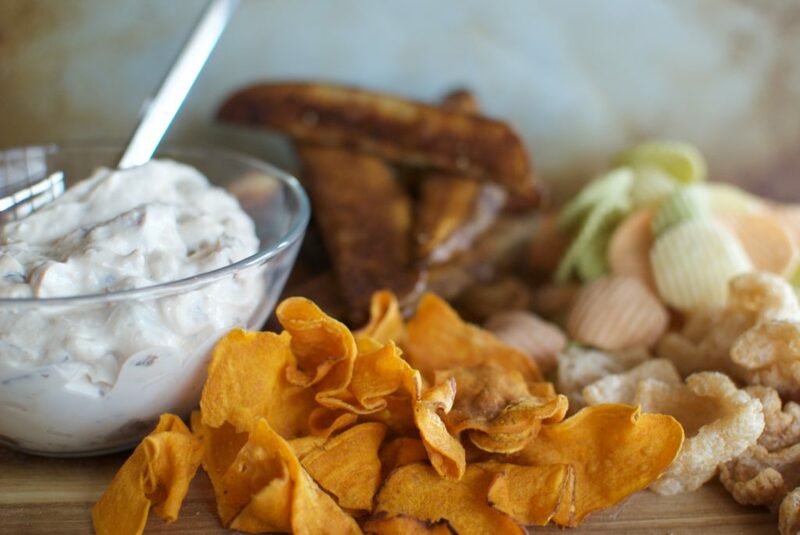 We all know and love the “boxed” french onion soup dip — you know, the kind in the blue box?? This is the “same,” but real food. Nothing from a box! Just sour cream and onions. Simple things really are the best, aren’t they!? 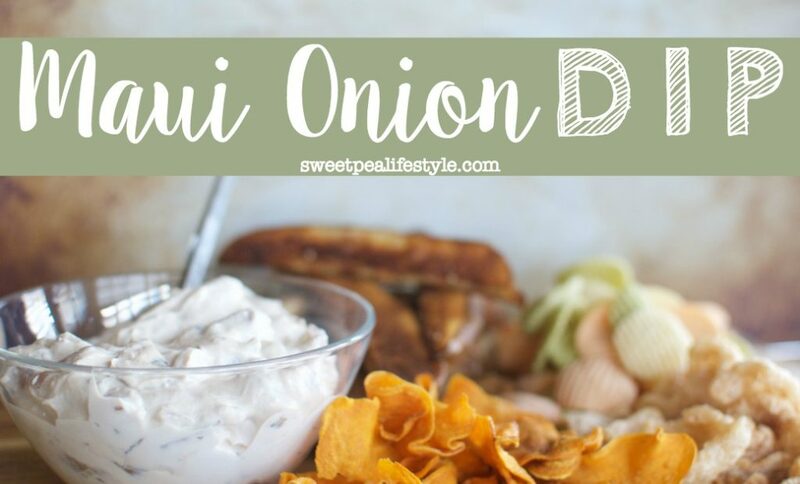 I had this dip when I visited Maui years ago — Maui onions are a lot like the South’s Vidalia onions. 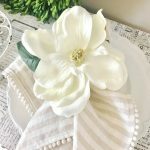 This recipe is best if you can use these sweet onions from Georgia… But, a large sweet yellow onion will do just fine if you can’t find Vidalias. 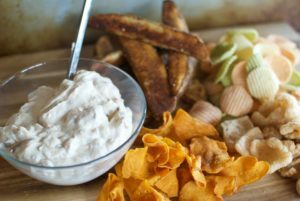 Maui Onion Dip can be served for all your peoples — your potato loving people, using roasted potato wedges — You veggie chip lovers — Your low carb living lovers, using pork rinds — and your sweet potato chip lovers. This also pairs well with fresh cut veggies, such as celery, cucumbers, red peppers, broccoli, and cauliflower. <—- this just described our usual veggie platter. 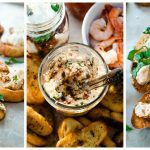 It makes a wonderful spread for sandwiches — the perfect dipper for quesadillas — and an absolute winner winner on top of a burger! Here’s the quick and EASY recipe! 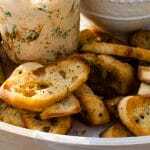 A deliciously creamy and sweet dip that will make you the hit of every party, ever! 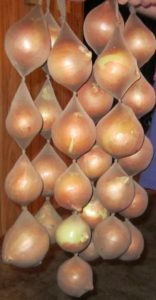 1 large sweet onion, such as Vidalia, sliced thinly, then "chunked" -- not diced, and not long strands... just big chunks. In a skillet, melt you butter over medium heat. Add your onions in, and caramelize over medium heat. This takes some time -- don't rush it -- you don't want burned onions! After your onions are caramelized, set aside in a large bowl to cool. After about 20 minutes, stir in the carton of sour cream, salt and pepper. Let this sit. Overnight is best, but if you really can't wait, give it an hour. Before serving, taste with whatever "vessel" you are using -- make sure you've added enough salt! For an even lower point version, use fat free, plain Greek yogurt. For two tablespoons, you'll only use 1 smartpoint! This keeps well in the fridge! Great for the afternoon snack — a yummy way to get your veggies in! 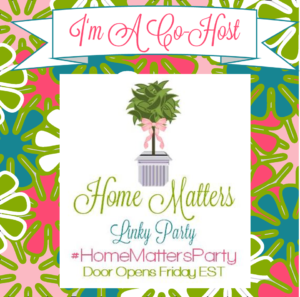 Here’s a Pinterest graphic you can save to your favorite boards!